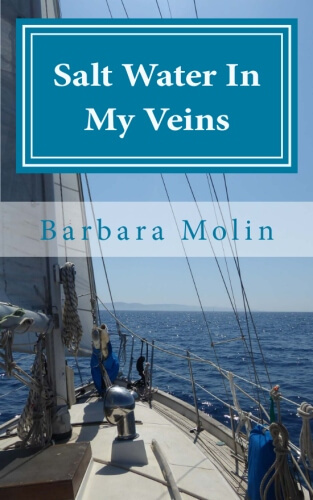 Book Description: Salt Water In My Veins is a collection of 21 stories from Barbara Molin’s lifetime of sailing and living aboard in Canada, Mexico, the Bahamas, and while crossing the Atlantic and the Mediterranean. From buying a dream boat that soon becomes a nightmare, to accidentally deploying the anchor in the middle of the Atlantic, the stories highlight the author’s passion for the sea, persistence in the face of challenges, and independent spirit. Author bio: Barbara Molin’s love of the sea and adventure began during childhood spent at the Baltic seashore in Poland. It then grew when she and her family crossed the Atlantic on board a ship immigrating to Canada. She has worked as a researcher and a project manager for an oceanographic institute and as a reporter for community newspapers. Her freelance articles and photographs have been published among others by Sail, 48 North, Latitudes & Attitudes, Living Aboard, Boat Works and Practical Boat Owner. She was also the founding publisher and managing editor of The Ionian magazine in Greece. 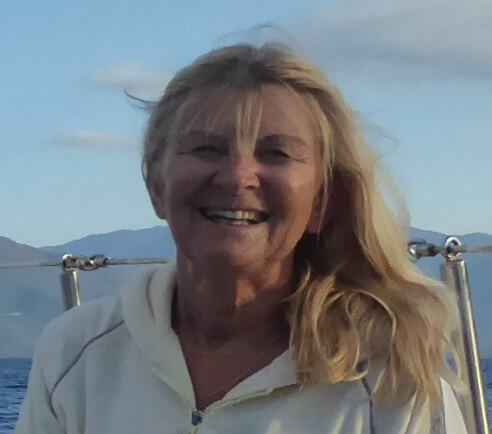 Barbara now lives aboard her sailboat, Eidos on Ithaka Island in Greece.